Communications service providers see the potential of a very strong business upside from deploying NFV-based services. NFV promises to lower costs, simplify network operations, and usher in a new era of rapid service innovation. Yet there are still concerns about running mission-critical revenue-generating network functions as software applications on general purpose compute platforms rather than purpose-built appliances. 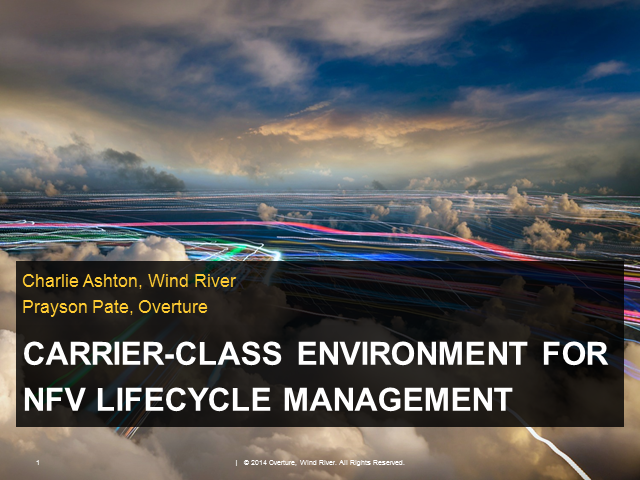 This webinar will explore what is required to create a carrier class, also known as carrier grade, high-performance environment for hosting virtual network functions. Attendees will learn how to leverage the power of the Intel architecture and the key attributes of management and orchestration needed to support the complete service life cycle in a VNF-agnostic service environment.